I’ve decided this year to make gifts for my friends and family. I LOATHE holiday shopping. It stresses me out. I always wear too big of a coat and start having hot-flashes about 30 minutes into shopping, then start to freak out from the crowds. I know…I have issues. 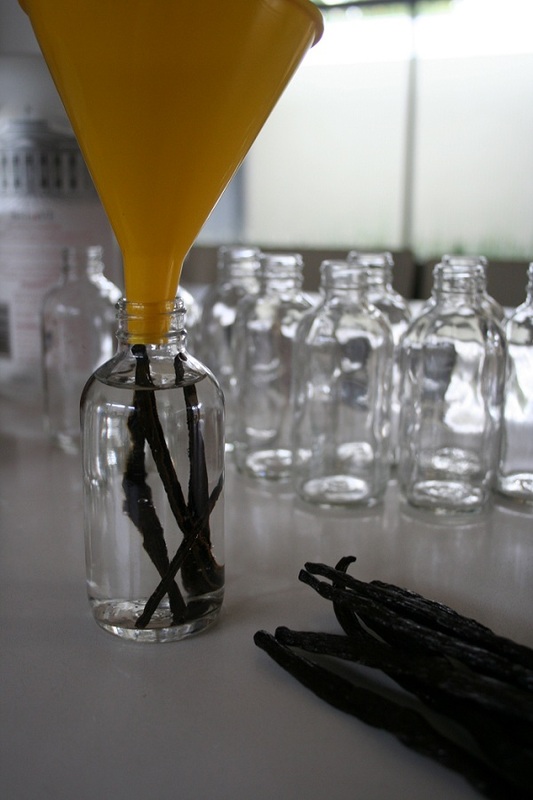 I came across this wonderful food blog when I was searching how to make my own vanilla extract. Not only are the pictures gorgeous but the food looks delicious! You might want to know what type of vodka to use. I don’t think it really matters. I used Belvedere Vodka RED because 50% of the profits go towards fighting AIDS/HIV in Africa. I do know that I bought my giant bottle of vodka at Costco for less than half of what it cost at the liquor store. 1. 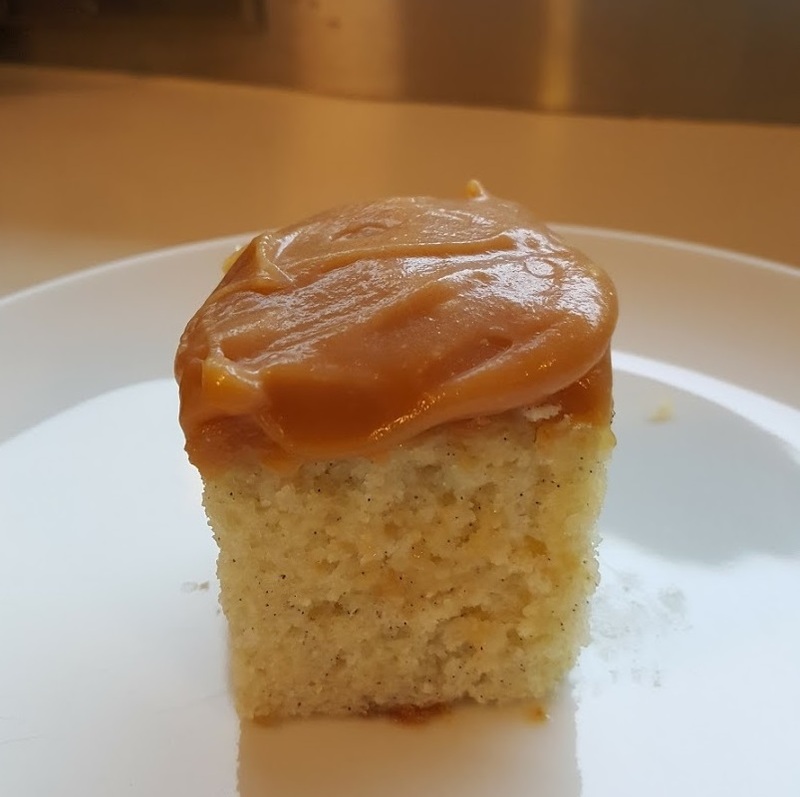 Take one vanilla bean and cut it in half. Then do the same with another vanilla bean. 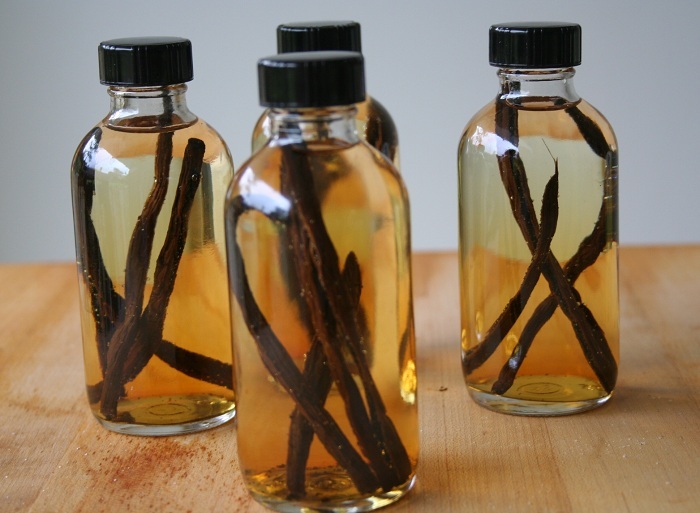 You will use 1 1/2 vanilla bean per bottle (you will have 3 half pieces). 2. Then cut each half lengthwise. 3. 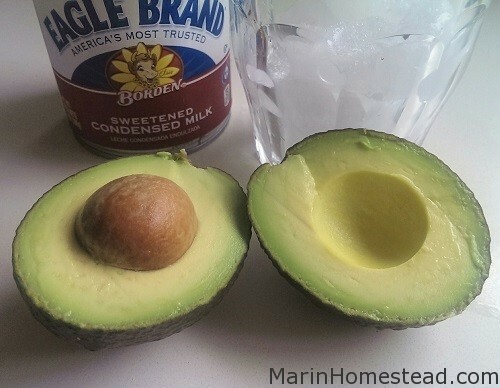 Put the 6 pieces in your bottle, then with a funnel, add the vodka to the curved line in the bottle. 4. 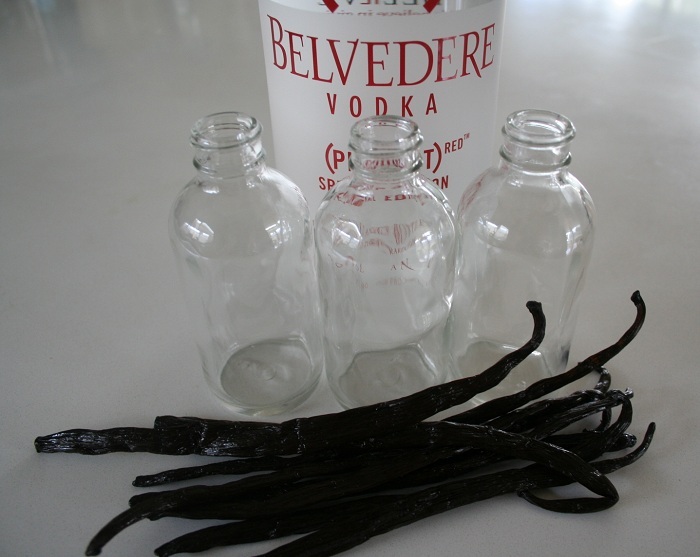 Screw on top and repeat with the rest of the bottles and vanilla beans. 5. Store in a dark, cool place. We put them back in the box the bottles came in and put them in the pantry. This is what the bottles look like after the 1st day. 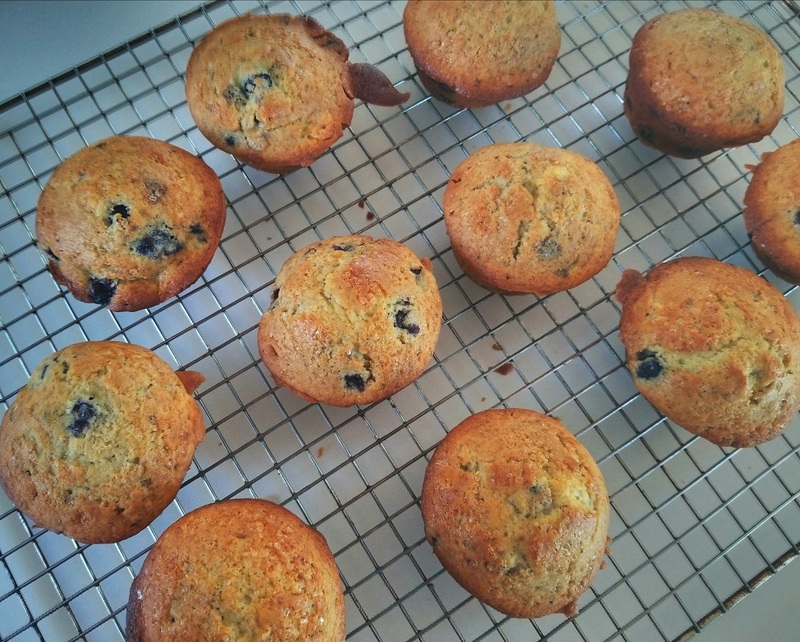 This is what they look like 2 weeks after I made it. The mixture will continue to get darker. 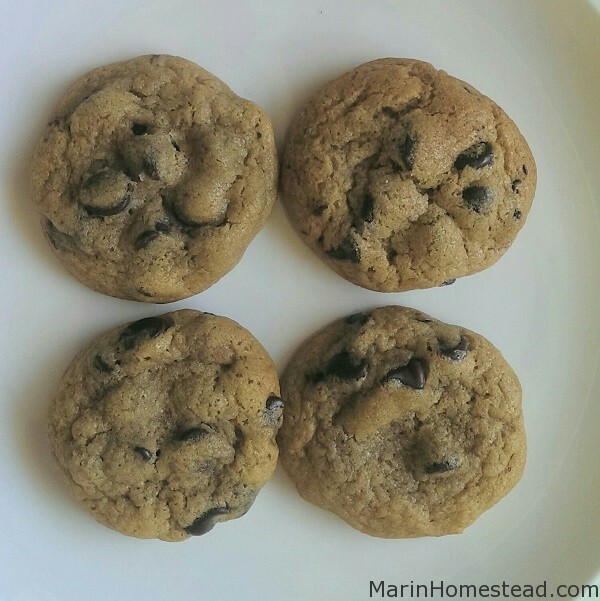 You should wait 2 months before using to get a fuller, vanilla flavor. I have been thinking about making this for over a year, this was the jump start I needed!! Love the labels!! Lonelle, it is so easy to do and it really makes the BEST gifts. 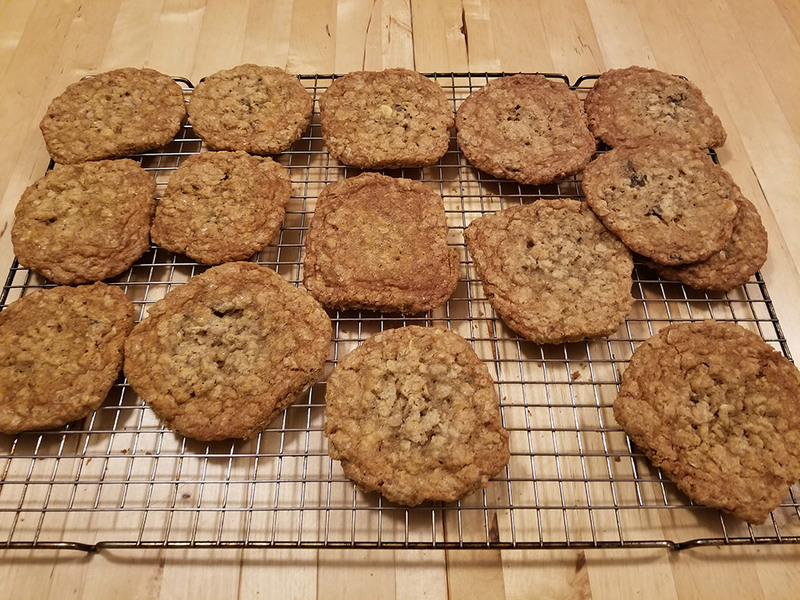 We made some for my son’s school bazaar for charity and it was the first thing to sell out! I am always late!! 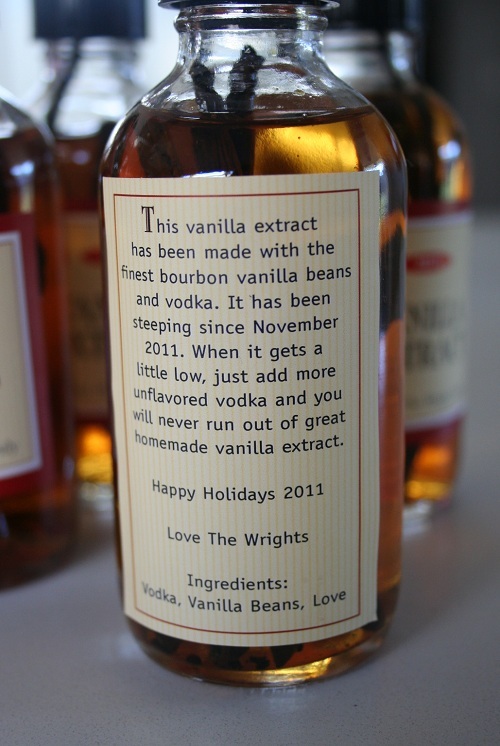 Lol However bottles, labels and vanilla beans ordered!!! YAY! I hope you got extra bottles. You will be surprised how quickly they go. 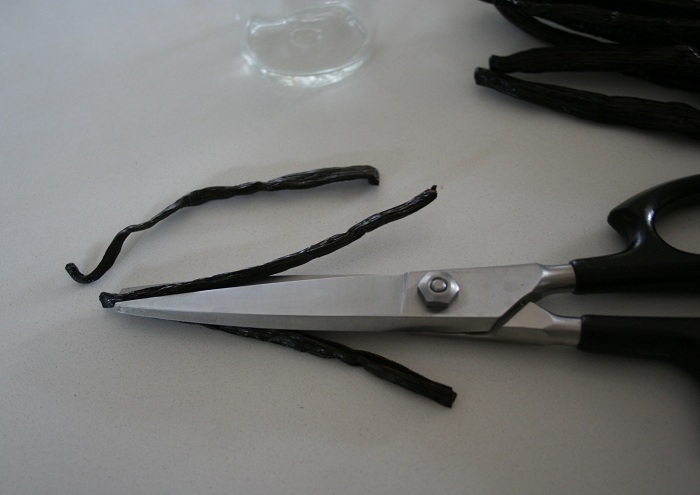 Oh my gosh I had no idea vanilla was made with vodka – so interesting! What a cool giveaway for friends and family Tammy – Terrific! Fantastic! I’ve ordered my supplies! Can you tell me what products or how you made your labels (I will be using 8 oz. bottles)? They are lovely! Thanks! Oh my GOD I use a lot of vanilla it is so expensive, this is awesome! Hi Tammy I was wondering when you ordered the labels did you have to order one for the front of the bottle and one for the back. This is a great idea for gifts. Thank you for your time. 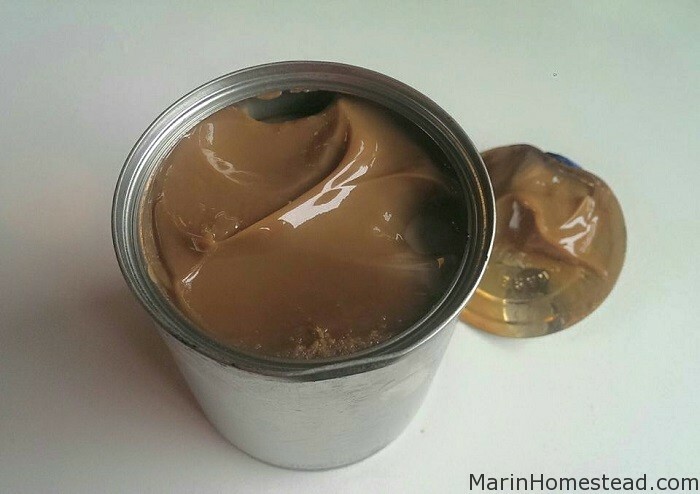 Do you have to strain the mixture (when you cut the beans lengthwise?). Love your idea and would like to make for Christmas gifts. This makes me so mad. I find something cool on Pinterest and now I find out it’s a DIY and I can’t purchase it?!? You people do know that some of us have lives and jobs and are not creative right? That we would rather pay someone to do this? Rae, you do know that some of us will sell you some that we make, right? I will be happy to! How many times can you actually refill the bottle and get good vanilla? Do you use this in recipes just as the recipe calls for? Thank you for sharing. 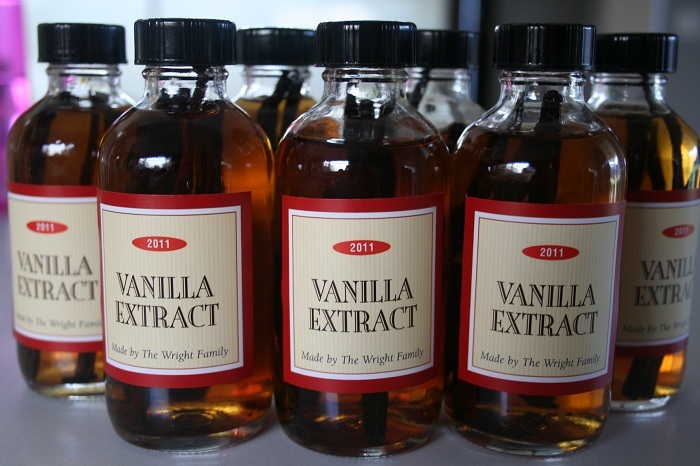 I too use a lot of vanilla extract and will be making some soon. Where do you get the bottles?